I followed these steps and it doesn’t matter what internet browser I use, it will NEVER upload ANY version to the site. If I use IE, it hangs in “waiting for http://192.168.0.1/cgi/index… The progress bar stays stuck almost hal way thru. If I use FireFox, it shows no progress and the orange blinking light power disappears. How long does it really take to flash the bin image? Hi Robert, it took about 3 to 5 minutes for the flash to finish. Do you have details as to what specific hardware you have? 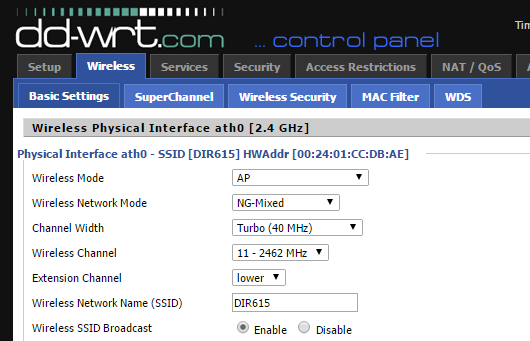 Hi, I need a cheap router to run ddwrt with snmp support, can you check that yours have it? Some versions don´t have snmp. Hi Alex, haven’t tried it yet. I’ll take a look one of these days when I have time, took it of my network since I’m using the router provided by my ISP. I’m having all kinds of problems flashing to DD-WRT, I have a DIR-615 C1 version, tried Hex Editing to no avail I really want to use this old router for repeating is there any version of the .bin file that actually works!!!! very frustrated. Did you try using Mozilla Firefox instead of Chrome? It could be a browser issue like mine was. 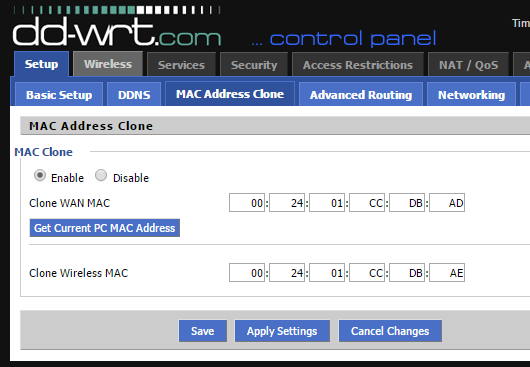 default gateway: 192.168.0.1 This will enable you to communicate with the router correctly. Also, click reset on the back of the router, hold for a few seconds, unplug power cord, wait 5 seconds, replug power cord and wait 15 seconds. Now it will take you to emergency boot mode when you type in 192.168.0.1 in your Firefox browser, and you can upload the firmware from there. Here’s the right forum link for you guys. Explains everything. Follow directions precisely. After you’re done, the NEW router IP is 192.168.1.1 Notice there’s a difference. As well, make sure you change your IPv4 TCIP settings to the “automatically optain ip adress,” your preferred DNS setting. Enjoy. What browser did you use to download the file? Did you try using FireFox? i have replaced the firmware succesfully but I need to change to default IP 192.168.1.1 to 192.168.0.1 and then it won’t be accessible – bricked. how do i restore access to it? I could get a new one but old one still ok so it is a waste if I throw it away. Sorry you got your hardware bricked. Not sure how you got it bricked though, changing the IP shouldn’t brick it. Are you sure you are not able to access it via 192.168.0.1? Router was accessible from web emergency interface which let me to upgrade. 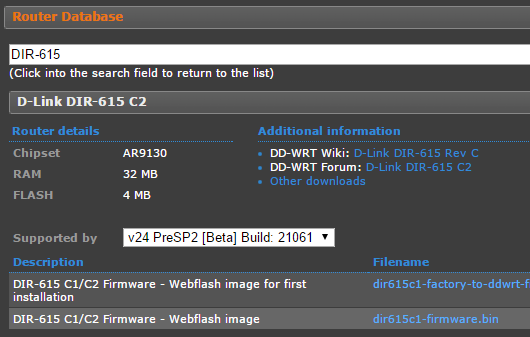 Thanks for mentioning the afte-flash IP of 1.1 – I read I don’t know how many threads on how to flash my 615-c1 and nobody mentioned it switched Ip’s from 0.1 to 1.1 – I had a heck of a time untill I stumbled onto this blog and when I punched in the majik numbers it came up..
At the time I was trying the 14896 build and when it took I immediately upgraded the final file to the 21061 build – no issues so far and wireless is working..